I like to think that art can be viewed free of context. There's an egalitarian streak in me that makes me want to believe that art isn't good if you need a commentary track. Most of us have had some version of this experience: we read a supposedly great book, for example, finish it, and then think, "Meh. Wonder what all the fuss was about." We relate that view to a friend who's fanatical about the thing, though, and they flip. "You fool. It's all context. You need to understand what was going on when [Book X] was written. " I always wanted to tell those people to go away. Since my halcyon early days of art appreciation, though, I've inched continually closer to agreeing with them. I've had several conversations, for example, with people who don't see what's so great about Nirvana. "They just sound like every other crappy alt rock band." And I always say, "No, every other crappy alt rock band sounds like them." Nirvana was so incredibly influential and their sound so thoroughly aped that, aside from their incredible songs, they almost sound unremarkable. This week's entry benefits greatly from some context. Sometimes a great movie is a great movie, and sometimes it's a great movie because of what it accomplished. 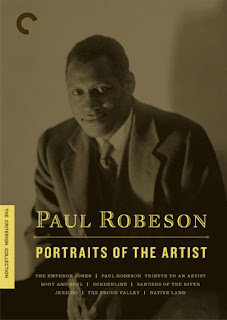 Saul Turrell's Paul Robeson: Tribute to an Artist is just such a case. Turell is known primarily as a producer and distributor. After all, it was he and William Becker who took over Janus Films in 1965 and righted the ship after the company made some poor business decisions. But Turell was also a documentarian, an Academy Award-winning documentarian in fact. This week's film netted him the Best Documentary Short Oscar in 1979. Robeson beat out a Yugoslavian short and a film about the making of nails (hammer, not hand). At first glance, the film appears to be a good, but not great, example of the short documentary form. Robeson traces the career of, who else, Paul Robeson, a prominent black singer, performer, and eventual activist from 1920 until his death in 1976. The film spends little time on Robeson's early life, only briefly referring back to his days as a first-team All-American football player for Rutger's. Turell smartly uses Robeson's most famous work, the song "Old Man River" from Oscar Hammerstein's Showboat as the framing device for the documentary. 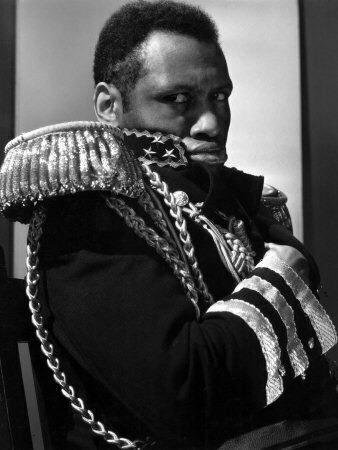 Specifically, Robeson changed the lyrics repeatedly over the course of his career as he transformed from an entertainer (albeit a revolutionary one) into a full-blown activist willing to endorse radical and transgressive causes. Nice collar, broseph. Pop 'n lock. Robeson was a fascinating guy, to be sure. He had a voice like a baritone angel, was the first black man to portray the title character is Shakespeare's Othello, and spoke passionately about causes he believed in that most celebrities wouldn't touch. Robeson spent the majority of his career blacklisted for speaking in favor of socialist causes and refusing to play for segregated audiences. And Turell's a pretty deft editor, stitching together interviews with Robeson himself (where the man shows himself to be among the most eloquent performers I've ever heard speak) and footage from his films and live performances. In fact, a substantial portion of the film is consumed by footage of Robeson performing songs like "Old Man River" at peace rallies and in front of giant crowds around the world. By this time, Robeson had changed the lyrics of the song from, "I'm tired of livin'/And scared of dying'" to, "I must keep fightin'/Until I'm dyin'." The sweet surrender that once filled his voice is replaced by fire and brimstone, a "Sinners in the Hands of an Angry God" fury with Robeson as the vengeful creator. Then again, Paul Robeson: Tribute to an Artist is a vital piece of filmmaking for one purpose above all: I know who Paul Robeson is. And not just from watching this movie. I knew who Paul Robeson was from a short presentation I did on him back in high school. I can't remember the specifics of said presentation, but I do remember irritating my friends by repeating the words to "Old Man River" over and over like a poorly-tuned foghorn. But Robeson and his heavenly voice might have been lost to history if it weren't for the efforts of Saul Turrell. For that alone, his film deserves a place in the annals of film lore.